Customer service automation can be a touch-and-go experience for the people on the receiving end. Some customers are left with the satisfaction of a quick solution, while others are left tearing their hair out in frustration. You can probably recall a time you purchased a product that turned out to be, well… not exactly what you’d hoped for. You started the long and annoying process of trying to get a replacement or refund. At every turn, you were met with a blockade of robots challenging your attempts to resolve the problem. Despite your best attempts, your requests were lost in the customer service robot wasteland. Eventually, you threw in the towel and either tossed the unsatisfactory product in the trash or left it to sit in a drawer unused. We tend to ask ourselves in situations like this if the people on the other side of the computer screen – the CEOs, managers, and company employees – are aware of just how annoying their impossible customer service procedures are. Have they put up these endless obstacles to avoid actually talking to you, the customer? Or do they simply not realize that their customer service is putting a bad taste in their customers’ mouths? There is a chance that yes, some companies do what they can to avoid directly interacting with their customers. But there’s an even better chance that they just don’t know how to use customer service automation to its fullest potential. The wonders of technology continue to evolve every day. We are constantly improving our ability to be more productive, more efficient, and to cut down on the time, resources, and money that we put into things. We have more options than ever before to reduce the resources funneled into customer service while maximizing customer satisfaction. However, if you’re unsure of how to properly implement these options, they can do more harm than good. Automation can make your customers drift further away from you… and closer to your competition. When you start to automate your customer service procedures, put yourself in your customers’ shoes. What kind of experience do they expect when dealing with your company? What responses do they hope to receive from you? Brainstorm a little and come up with the most common requests you might receive from customers. Establish how you’ll respond to each one and create guidelines that you can share with your team so they’ll know just what to do when issues arise. You can then turn these guidelines into a useful FAQ page on your website. Use your own experience with other companies’ customer service to develop procedures that not only resolve the problem at hand, but also take the opportunity to change the situation into a positive one. Think about how you can develop better relationships with those customers who reach out to you. You (or a representative of your company) should always maintain some presence in your customer service. Customers need to know that they can reach you directly if they’ve exhausted all automated resources for resolving their problem. Make it clear from the start that customers can contact you if they need to, but that it might be quicker if they check the FAQs or get online with a chat bot. Also, provide an opportunity at the end of each of your automated avenues for customers to get in touch with you if they’re not satisfied with the response they’ve received. There will be some types of automation that help your company, and some that don’t. Take some time to figure out what will benefit your customers the most and focus on refining those processes. For example, if you’re selling a product of a particularly complex nature, a chat bot might not be able to keep up with complicated questions or requests for assistance. If that’s the case, you might want to dedicate your time to creating well thought-out and categorized FAQs that can answer questions on a range of topics. If you decide a chat bot is the right fit for your business, try using a software program like IBM Watson, Chatfuel, or Botkit to create your own. Once again, try putting yourself in your customers’ shoes to assess what they’re most likely to respond to. If you have a large customer base, they might be a resource you hadn’t even thought of tapping into. There’s a chance that the people who have been consistently purchasing from you would appreciate the opportunity to pass their expertise on to those who are new to your company. Create a forum that allows newbies to pick the brains of those who are more familiar with your products and services. Of course, this can’t replace the procedures for some requests, such as refunds and other sales issues, but it can take the weight off a little for technical and implementation queries. Try using a software program like Discourse or vBulletin to add a forum to your website. If you have a WordPress site, use a plugin like bbpress or BuddyPress. You can incentivize customer responses to questions with things like discounts for the most active users, or rewards for the best responses. When you’re putting together your customer service strategies, it’s important to remember why you’re doing this. Your business’s end goal is to profit. But don’t lose sight of the fact that you need customers to do that! The happier your customers are, the more likely they are to come back, to tell their friends and family about your company, and to spend money on your products or services. The absolute goal of your customer service strategy is to satisfy every person who reaches out to you. If the procedures you’ve implemented don’t help you reach that goal, then you need to go back to the drawing board. Customer Service Automation can be an incredibly useful tool when wielded correctly. It’s knowing how and when to use it that will make all the difference in both the short-term happiness of customers, and the long-term success of your business. The implementation of your customer service automation will also change throughout the life of your business. Make sure to regularly reassess how your automation is performing and what effect it’s having on your business as a whole. You’ll probably need to refine and tweak what you’re doing every so often to maintain the right type and level of interaction with your customers. 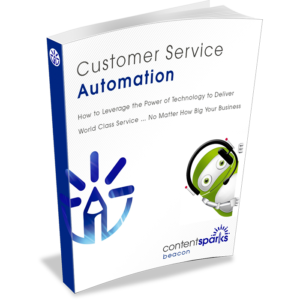 Need some suggestions of tools you can use to automate different aspects of customer service? We’ve put together a list of popular customer service automation tools for different categories. Just click on the button below to request your copy and we’ll send it directly to your inbox. 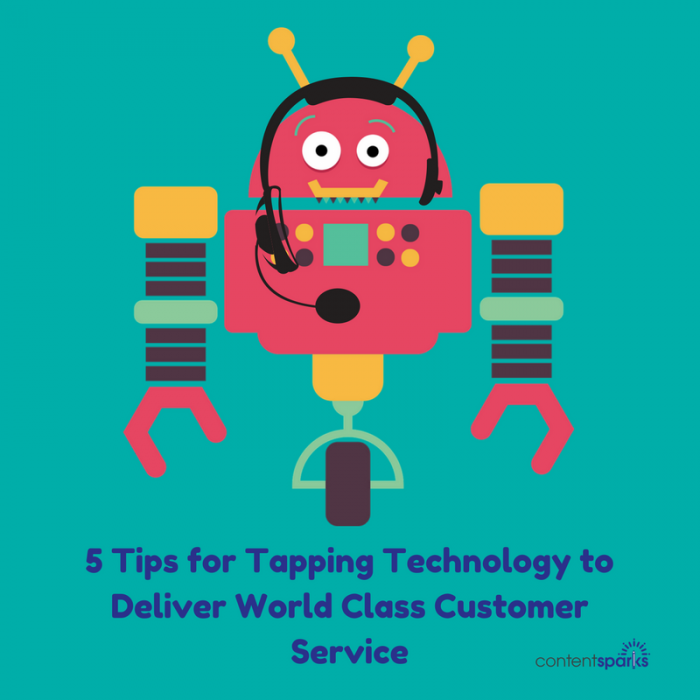 Finally, if you'd like to teach your own clients how to leverage the power of technology to deliver world class service, check out Customer Service Automation. You'll get all the materials you need to teach your clients, step-by-step, how to use automation to not only save time and energy in their customer service strategy, but also take it to the next level in satisfying their customers. All you have to do is download the content, customize it to fit your market and your voice, and then share or sell it to prospects and clients.